This man has the greatest memory I ever came across. He has been involved with Softball since he was in High School. He became a coach a coach with Mertz Bakery, fourth place finisher in the 1972 Eastern USSSA World’s in Petersburg, VA. After that, he went to Stroh’s and Bert’s Black Horse softball team, which was the team that defeated Howard’s and finished 2nd to County Sports of Long Island in the Springfield Stroh’s Tournament in 1975. He then moved on to the former USSSA Champs, Uniroyal in 1976 (previously, Dino’s Pizza). It was there he formed a friendship with Manager Gary Vitto. He went to University of Michigan and while there, was a student manager for the football and hockey teams. 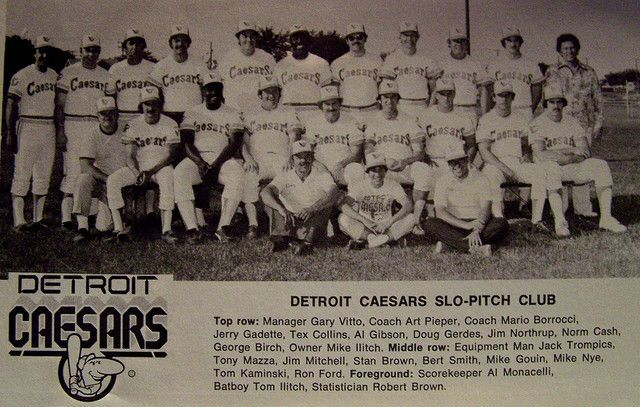 He joined the famous Detroit Caesar’s team that played in the Professional Softball League (APSPL) in 1977 and 1978. 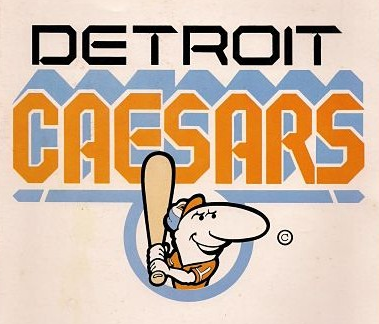 The Caesars won the league both years. Robert was the Assistant General Manager for the Caesars and also administered the League Office in 1978. He went on to become the Director of the American Professional Slow Pitch League (APSPL) in 1979 and the league World Series between Milwaukee and Kentucky was the first live event televised by ESPN when it went on the air on September 7, 1979. 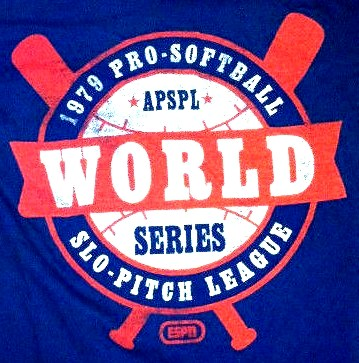 In 1980, some teams were unhappy with how the APSPL was being run and Ted Septien of Cleveland started a rival Pro League called the North American Softball League (NASL) and Robert became the Commissioner of the League for it’s one season of existence in which they competed with the already existing APSPL. 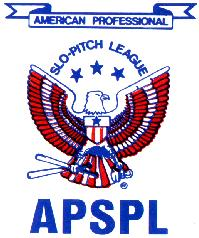 In 1981, The APSPL and the NASL basically merged to form the United Professional Softball League (UPSL). 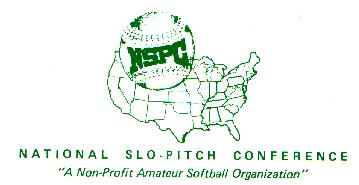 Robert left the Pro game to become the Executive Director of the National Slo-Pitch Conference (NPSL) for the 1981 season. 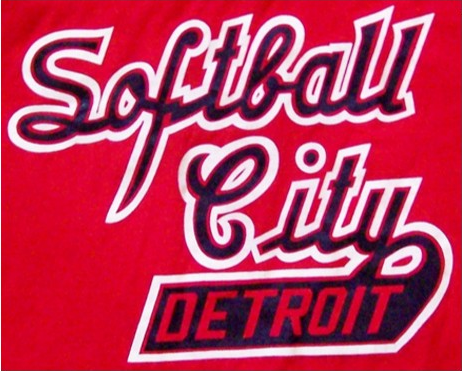 In 1982, he went back to Professional Softball to be the General Manager of the Detroit Softball City team in the UPSL for the 1982 season. He was reunited with Manager Gary Vitto and the team went to the Pro World Series, only to lose to the Milwaukee Schlitz. 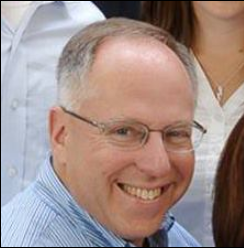 Following the 1982 season, both the Pro League and the NSPC folded, so Robert became the Michigan USSSA Director until 1983 went he decided to go to Wayne State University of Law. Don Dedonatis took over as the State Director and eventually moved up to be the National USSSA Executive Director. Robert graduated from Law School and became a very successful Lawyer. He is a pleasure to speak to and such a good person. about him. Thank you very much Robert. Top 2 teams in each division made playoffs. Two division winners with best record received byes. The division winner with the worst record played the wild-card with the worst record. The remaining two wild-card teams played. The two winners then matched up with the division winners receiving a bye depending on their seed. The final two teams then met in the World Series. Top 2 teams in each division made playoffs. The teams were seeded by records. Two teams with best records received byes. The final two teams then met in the World Series. - Detroit Stars - Mike Nye, Grand Slam in 1st game, Doug Gerdes, 2 HRs in 2nd game, 3 HRs, 6 RBIs in both games total. Top 8 teams by record made playoffs. The teams were seeded by records. The final two teams then met in the World Series. but was not officially recognized as the Batting Champ due to not enough at bats? 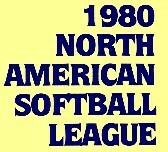 Another League was formed by Ted Stepien in 1980 called the North American Softball League (NASL). A Couple of the APSPL teams jumped over to that league. The APSPL still existed as a league and also had the backing of ESPN, but the NASL was still the better league according to some, if only financially as Ted Stepien of Cleveland owned 6 of the 8 NASL teams. Top 4 teams made playoffs. The teams were seeded by records. The final two teams then met in the World Series. Top three teams in each division made the playoffs, 3rd played 2nd , with the winner playing 1st for the division title. The two division winners then met in the World Series. * Note- I have conflicting reports on who the MVP was, Both of these players are mentioned. Tony Salamone, Cincinnati 		( 84-?? Rick Linz, Cincinnati 			( 83-?? The UPSL decided to take 1983 off and reorganize to make a better league in 1984. They had Franchise requests from Florida, New England, North Carolina and St. Louis. This never happened and the league ended up folding. – This was the Last Professional Slow Pitch Softball League. All Time team compiled by former league commissioner Robert Brown, who saw more games than anybody. I’d like to take a second to thank Robert for helping me with this page. If it wasn’t for him, 90% of the information wouldn’t have been found. – Thank You Robert.